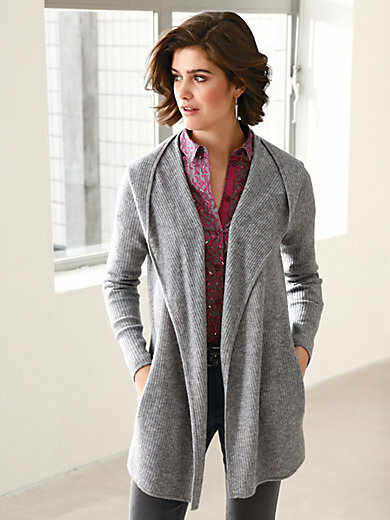 Hooded cardigan by LOOXENT. Very soft rib knit piece made of wonderful natural yarn. Comfortable, loosely falling style with a contrasting detail inside the hood. 90% new milled wool, 10% cashmere. Length approx. 30ins. The hooded cardigan should be washed by hand.